Already know this? Take the QUIZ! Today we are going to compare Quantities. Bigger, smaller, More, less. First let us see what is SAME or EQUAL. Both these trucks are the same size. They look the same. SImilarly look at the two plates of apples. How many apples are there in each plate? There are 3 apples in each plate. Both plates have 3 apples. They have the same number of apples. 3 apples in 1 plate and 3 apples in the other plate. So both are EQUAL. The red truck IS SMALLER THAN the yellow truck. In this picture Can you tell me which is the bigger truck. Red or yellow? The red truck is BIGGER THAN the yellow truck. Let us compare quantities now. Look at the two bags. The green bag has 1 strawberry and the blue bag has 4. Which bag has less strawberries. The green bag has less strawberries than the blue bag. This less than is represented by the symbol. Think of it as a Alligator mouth always pointing towards the BIGGER NUMBER! The green bag has more oranges than the blue bag.The mouth points to the bigger number 2. In the same way we can compare NUMBERS. Numbers increase 1 by 1.
so 0 is the smallest number, 1 is bigger, 2 is bigger than 1, 3 is bigger than 2 and so on till 10. It is like your age. If you are 4 years now, when you become 5 you will be bigger than 4. As you grow bigger and bigger your age will increase 1 by 1. 4 to 5 to 6 to 7 and so on. Look at the the two numbers below. Which number is the bigger number. 9 is bigger than 3. 9 is greater than 3. The mouth will point to the bigger number. Here 0 is less than 1. Similarly here the mouth will point to 1. Try our quiz below to see how much you learnt! Visual kids activity for Greater than less than also with a video and printables! Some picture books about Comparing numbers. 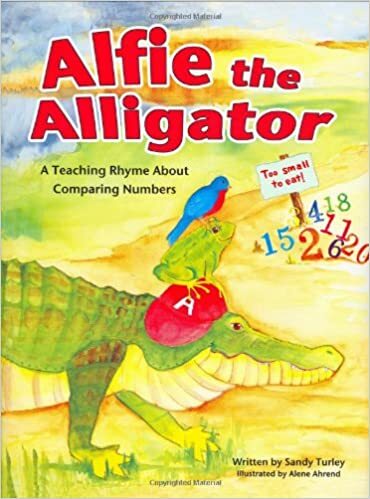 A whimsical story rhyme about an alligator named Alfie who takes his friends on a journey to find the largest numbers. The book teaches the concept of comparing numbers and reinforces the use of the greater than (>) less than (<) and equal sign (=). Hardcover book, 32 pages. Price includes a CD with colored Alfie manipulative cards and a 20-page packet of activity sheets. SUPPORTS COMMON CORE STANDARDS! 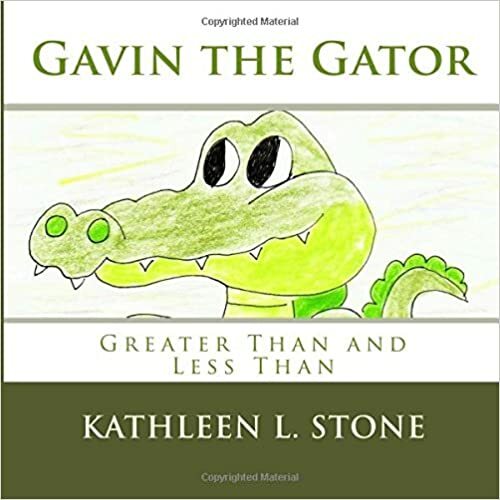 Children will enjoy learning about greater than and less than equations as they help decide which number Gavin will eat. Interaction is encouraged throughout the story. Enrichment activities are included at the end of the book. 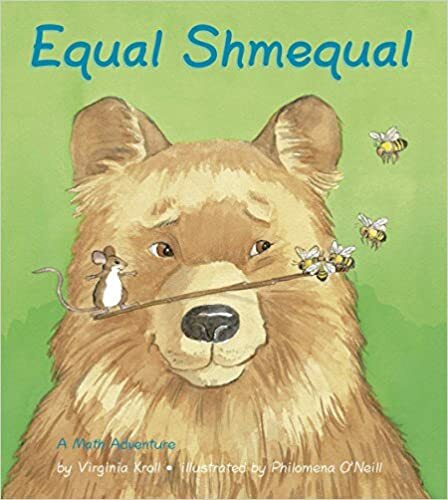 The charming illustrations, along with the rhythm and rhyme of the text, will draw children into the story as they learn this important math skill. What does it mean to be equal? Mouse and her friends want to play tug-of-war but they can’t figure out how to make teams that are equal. Nothing works until Mouse starts thinking mathematically. Wonderful illustrations capture Mouse and her animal friends from whiskers to tails.